It's that time of year again...We're all looking back and reflecting on what 2016 has brought to us, and what we have each given in return. I've decided to start a new yearly tradition by creating a post featuring my favorite engagement photos from the 2016 year, a little bit about what I've learned over the past 12 months, and include a little bit about some of the adventures I've had in the past year. I'll be creating one for my favorite wedding images as well, so stay tuned for that post too! My year started off in Breckenridge with a group of about 12 women. The one thing we all have in common is photography. We spent 3 days dreaming about the year ahead of us, playing in the snow with our cameras of course, and creating relationships with each other that have lasted through the year. I am a big believer in community over competition. I love my fellow photographers, and actively support them through the community we have created here in Colorado over the past couple of years. Did you know that I am a part of a group of 900 female photographers in Colorado? Isn't it amazing that I have 900 women supporting me and my dream of owning a photography business? I sure think it is! This was one of many events I attended or hosted throughout the year that I was genuinely thrilled to be a part of. Another little fun fact about this year - I got married in June to my dream guy. 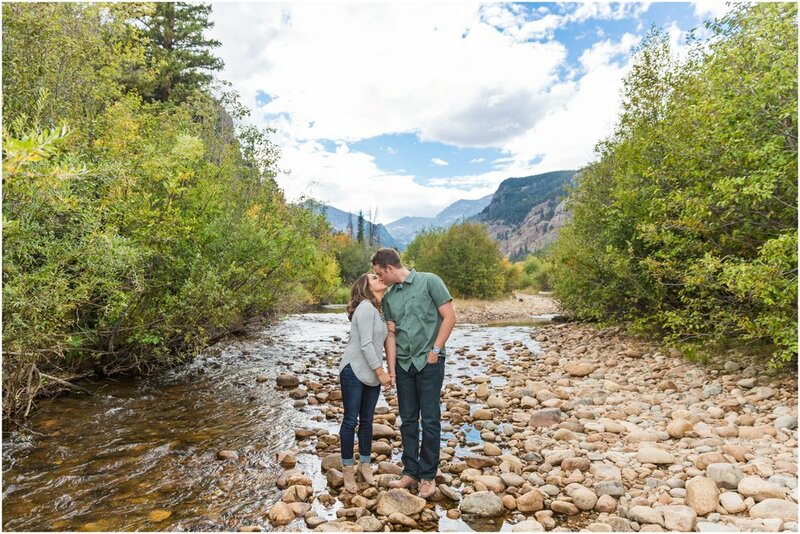 We had a beautiful wedding day in Estes Park, and did a day after session with our photographer on Trail Ridge Road in Rocky Mountain National Park. It was truly one of the best experiences of my life to marry Kevin in our favorite place with our favorite people, and also gave me a lot of insight in to what it's like being a bride and being on the other side of the camera. All throughout the year I really focused on what I absolutely love about being a photographer in Colorado. You guessed it...the mountains. The Rocky Mountains feel like home to me because they are home to me. I am a Colorado native, and spent many of my favorite childhood memories in the mountains. I have a tangible connection to the massive peaks, mountain air, and aspen trees. These things fill up my cup and make me breath more deeply. I'm a mountain girl through and through. I got to photograph a super sweet couple on the end of a train car in Breckenridge as the snow fell softly all around us. I stayed up late to photograph the night sky, and woke up early to model for friends at sunrise in the California desert. 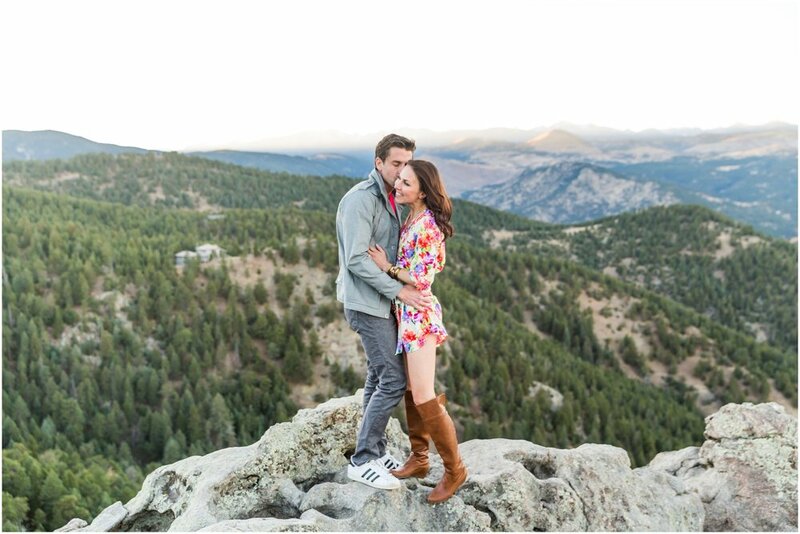 I watched the sun rise and set too many times to count in the Colorado Rocky Mountains with some of the most adventurous couples I've ever had the pleasure of working with. I spent the evening at a brewery with Claire & Austin where we photographed their engagement session in a beautiful field of hops with the most magical light. I drove down to visit my best friends in Alamosa, CO where we burned our feet on hot sand at the Sand Dunes just for pretty pictures. I spent 5 hours hiking and driving from place to place with Ashley & Brennan just to find the perfect views in Rocky Mountain National Park. I fell in love over and over again with this "job" I do. It was one of the best years of my life. I can't wait to see what 2017 will bring me. I already know that I get to work with more awesome couples, and see some really beautiful things. I'm looking forward to creating new moments and memories.